Eric has been a Realtor since 2006 with over 30 years of sales and marketing experience in the computer software and services industry and has lived in the Lowcountry since 2000. “My only regret is that I didn’t discover the Lowcountry sooner. It is just a wonderful place to live, retire or raise a family”. Whether you are seeking your primary residence, a perfect retirement home or an ideal second home, let Eric help you find the one that is just right for you. Eric has been certified as a Luxury Collection Specialist with Berkshire Hathaway Home Services and earned the CERTIFIED LUXURY HOME MARKETING SPECIALIST from the Institute for Luxury Home Marketing. He has also been awarded the Institute’s coveted MILLION DOLLAR GUILD recognition and as such is a part of an international network of real estate professionals with proven experience in the luxury market. Eric and his wife live on Fripp Island and have two grown daughters and three grandchildren. He is a member of the Parish Church of St. Helena where he has held various leadership positions including Senior Warden, one of the founding co-chairman of Holy Trinity Classical Christian School in Beaufort, Vice President of the Parish Church of St. Helena Trust and a member of the Board of Governors of Holy Trinity. He is a member of the Beaufort County Association of Realtors where he has served as a Director. 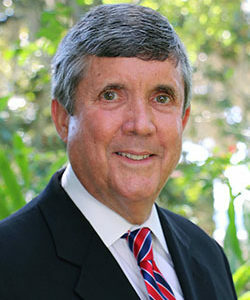 He was elected as a member of the Board of Directors of the Fripp Island Property Owners Association, serving as its Treasurer and later Vice President. Eric has also served as Commodore of the Fripp Island Yacht Club. Eric and his family enjoy all things related to the water, whether it is just spending time on the beach, sailing, cruising the flats of Fripp in a boat or offshore sports fishing; making Beaufort County the perfect place to live.